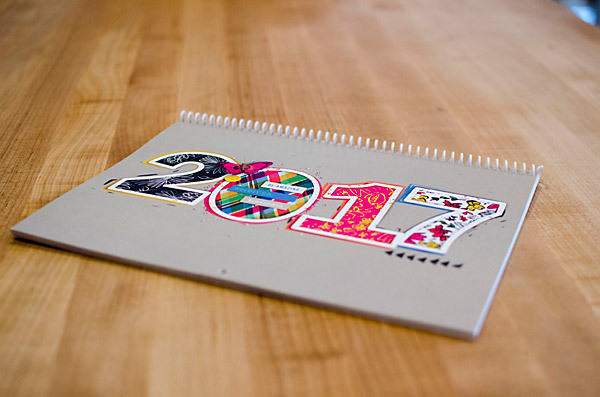 A couple weeks I posted about my 2017 Calendar and shared the pages I made. 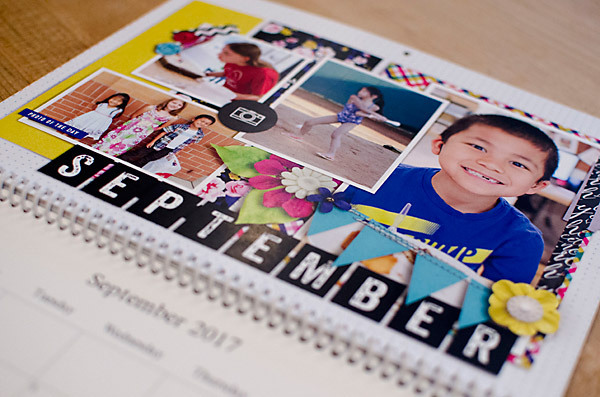 Last week I received my calendar from Persnickety Prints, and wanted to share printed photos and a short review with you. 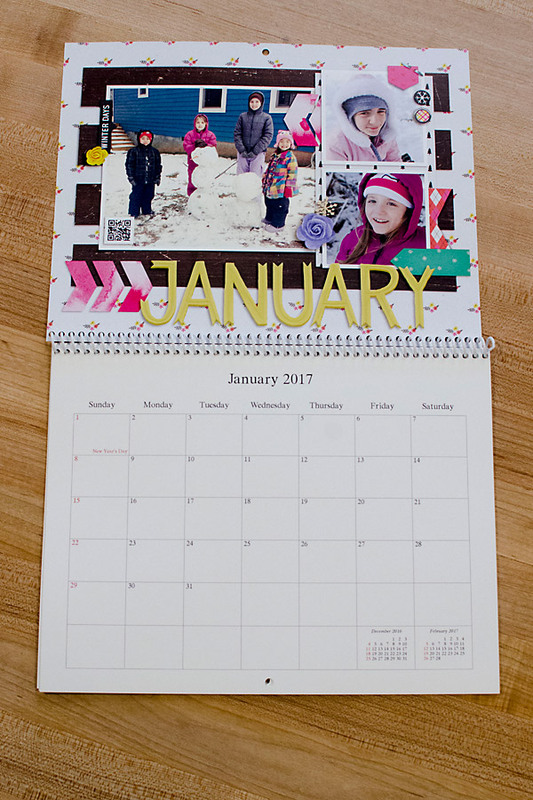 I created 8.5x11 calendar toppers with my 2017 Calendar Template set. 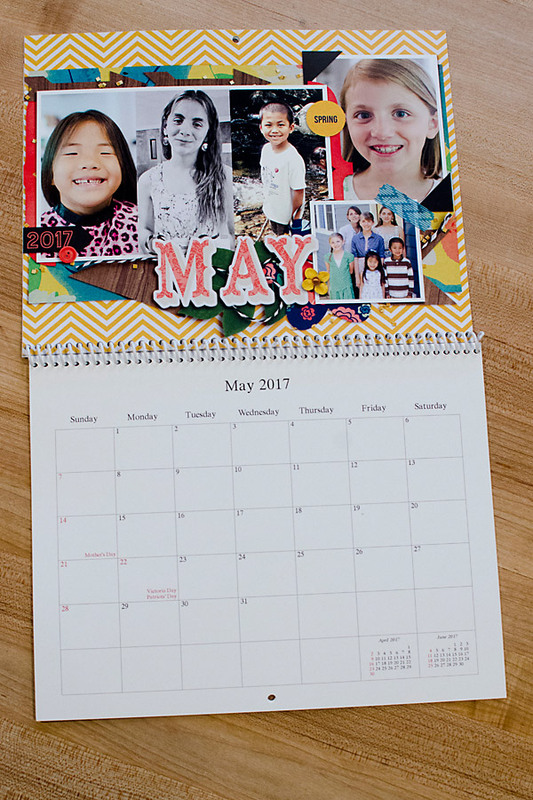 I then just created a custom photo calendar at Persnickety Prints with the grids on the bottom already completed. Although they must have choices for bottom grids because I got a calendar with a lot of Canada Holidays on it and some missing American Holidays. Not a big deal, but something I will be more careful to watch for next time. The print quality is great. Nice, vibrant colors. Although I wasn't super careful about my edges and some of my papers and elements got cut off just a bit. Not a big deal either. I usually try to make sure all important info (photos, journaling, titles) aren't close to the edge. 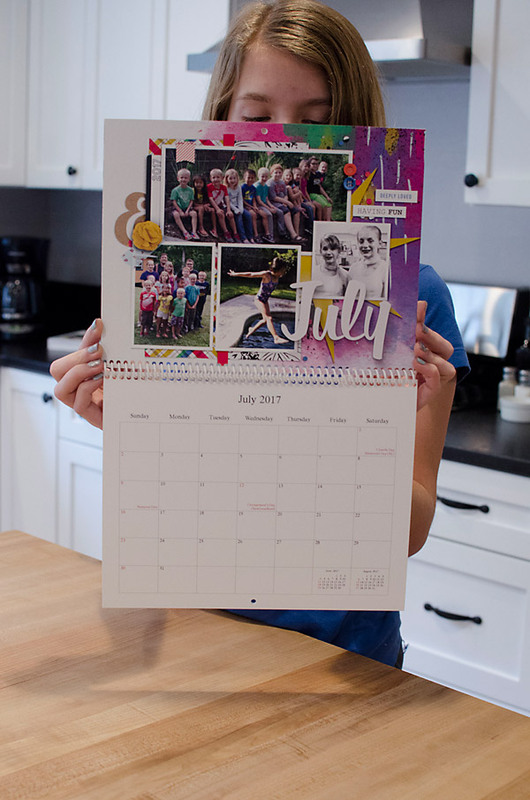 Here's my daughter holding the calendar just to give you an idea of the size. Persnickety Prints had different options for a 12x12 topper as well. 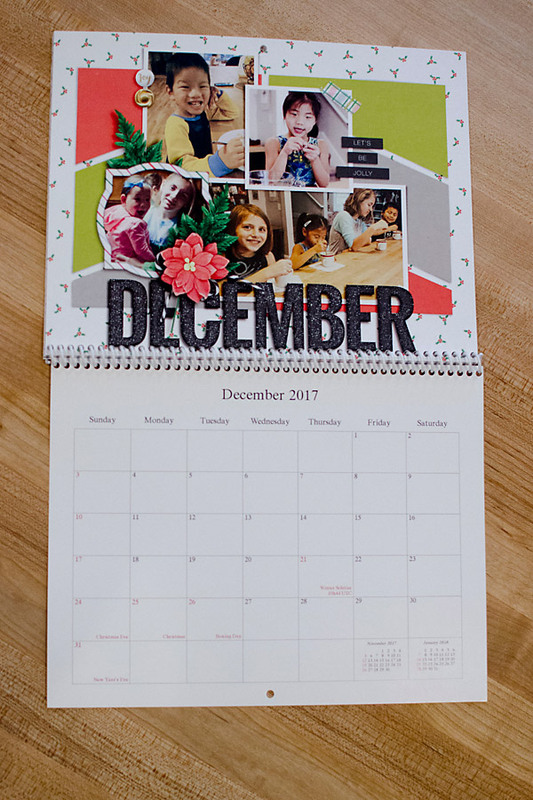 If you want an option for a 12x18 top hanging calendar I recommend Adoramapix since Persnickety doesn't offer this size. Read my review here. Overall I am very happy with my calendar. And since you can start your grid with any month you can make a 12 month calendar starting with any month that you would like! It's never too late to start on your calendar. I'll be releasing my first set of 2018 Calendar Templates next week. Keep an eye out.